Your phone may have a built-in flashlight, but do you really feel comfortable propping your phone inside of your car’s engine bay, or against a precarious surface while you work? Maybe it’s time to grab a penlight. When you think of a penlight, what comes to mind? The mechanic digging under the hood of your car? A poor soul looking for lost jewelry in the carpet? A doctor staring up your nose or down your throat? Well, these are some great uses for a penlight, but they can also be used in some modest situations, like looking under the bed or walking around in the dark. See, penlights have really come a long way. They’re smaller than ever, but they can put out as much light as some full-sized flashlights. And while your phone’s flashlight may get you through some basic situations, you’d almost always be better off with a super bright, super small penlight. Plus, you can hold a penlight in your mouth for hands-free illuminated work. You can’t do that with a phone (or at least you probably shouldn’t). 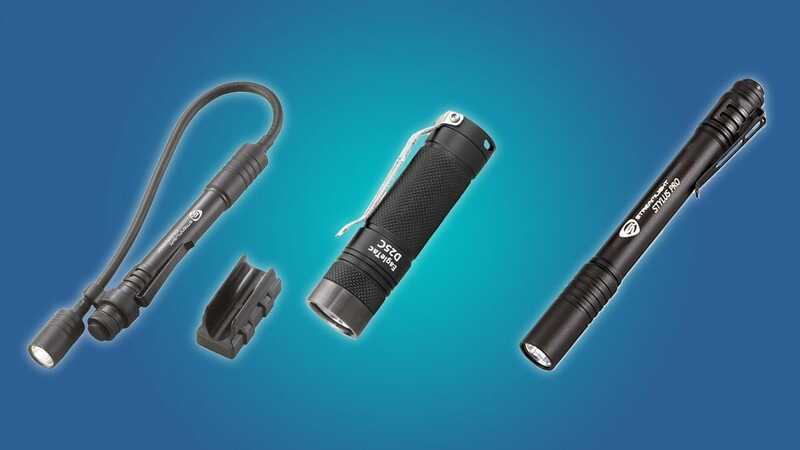 Whether you’re a mechanic, an electrical worker, or an average person with the occasional desire to have a flashlight, there’s a penlight out there that’s perfect for you. But there are a ton of penlights on the market, and it can be hard to find a penlight that fits your needs (additionally, some penlights are absolutely terrible). Luckily, we’ve done the hard work of sorting through them for you. There are a lot of niche penlights on the market, but most people just need a small light that can be used anytime, anywhere. 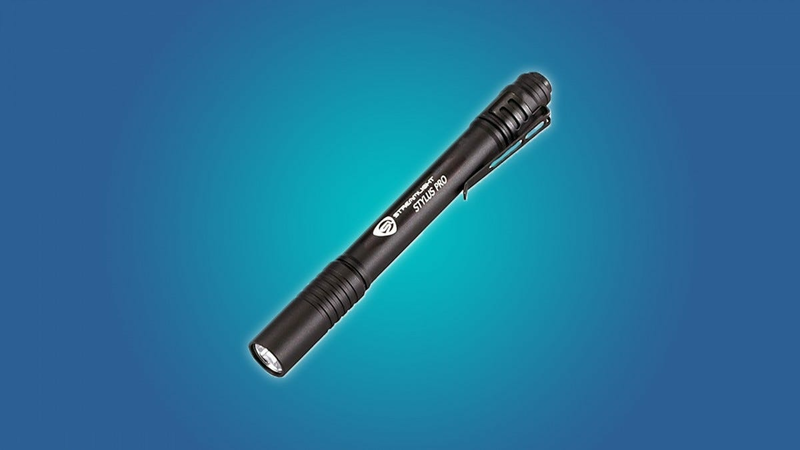 The Streamlight 66118 is a 100-lumen penlight that’s about the size of a sharpie. It runs on two AA batteries, and it has an IPX4 water-resistance rating, which means that you can use it in the rain. A small penlight like this can be used for just about anything. Car maintenance? Sure. Jewelry lost in the carpet? This light will help you find it. 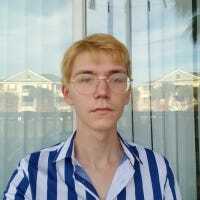 Kid has a sore throat? You can check it with this light. For $20, you really can’t go wrong. 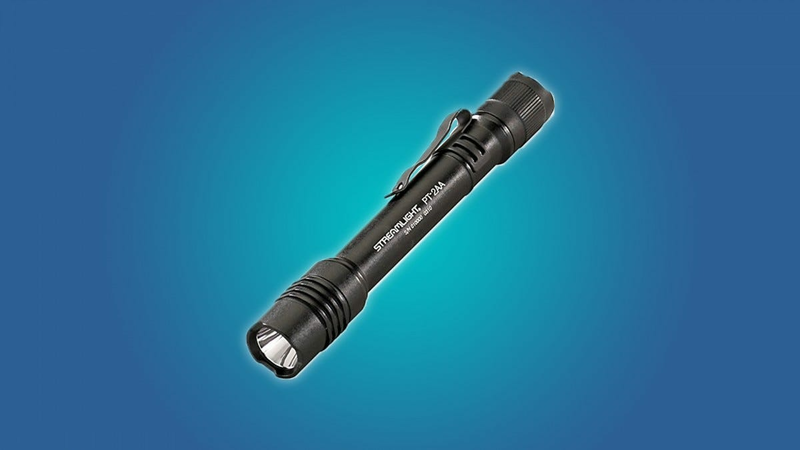 If you’re looking for a super bright penlight that can rival the strength of a larger flashlight, then you should check out the Streamlight 88033. This 250-lumen light is powered by two AA batteries. While it works well for car maintenance and electronics work, it can also be used to get around at night, or to dig for whatever you’ve lost under your car seat. The Streamlight company refers to this penlight as a “tactile light,” and for good reason. For a 250 lumen light, this thing is surprisingly slim. It also has an IPX7 water-resistance rating, so you can use it in the rain (or dunk it in a meter of water for a half hour, whatever comes first). Plus, the Streamlight 88033 has an 18-lumen low power mode and a strobe mode, so you can use it for quiet bathroom breaks or SOS signals while camping. Tired of replacing batteries? The Anker Bolder P2 might be your escape from battery hell. It’s a micro USB rechargeable 120-lumen penlight, with a durable build and a slim design. The Anker Bolder P2 has an IPX5 water-resistance rating, which means that you can use it during a storm without a worry. While this penlight doesn’t have a strobe function (a blessing if you ask me), you can adjust the light to a 40-lumen low-power mode when 120 lumens is a bit too bright. This is a great, modern penlight that doesn’t compromise convenience for usability. 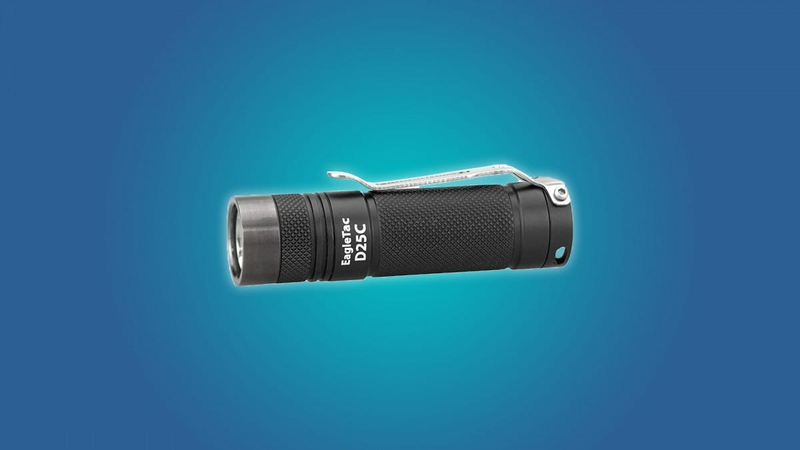 It may not be as bright as the Streamlight 88033, or as slim as the Streamlight 66118, but it’s definitely worth your time if you’re dead set against batteries. 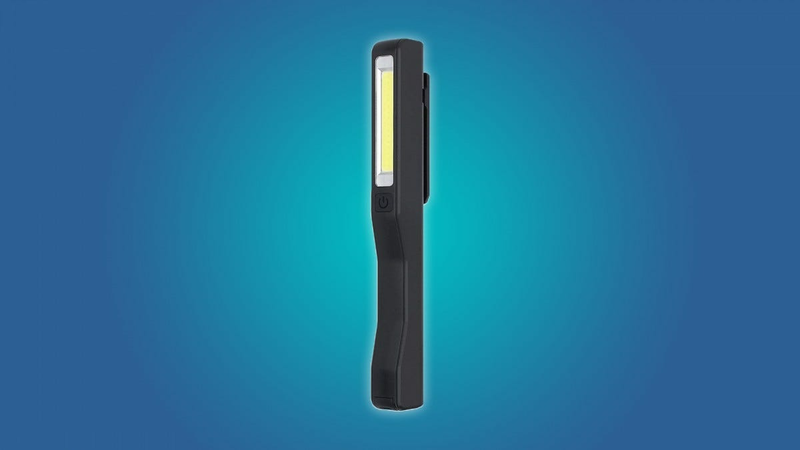 If you’re looking for a penlight that makes car inspections a breeze, then you should check out the Streamlight 66418. It’s a 90 lumen penlight with high power, low power, and strobe settings. It’s powered by two AA batteries, and it comes with a small magnetic clip that can stick to the inside of your car while you work. 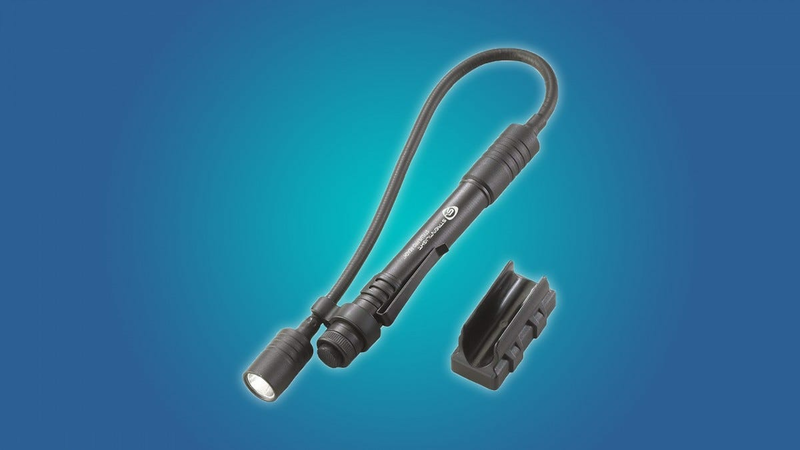 As you’ve probably noticed, the Streamlight 66418 has a long, flexible head. You can snake this head around the insides of your car to get perfect, hands-free lighting. Or, you can hang the Streamlight’s flexible head outside of your shirt pocket, and you can pretend that it’s your tiny robot assistant. Because this penlight has a long neck, there’s a chance that it won’t feel too cozy in your pocket. 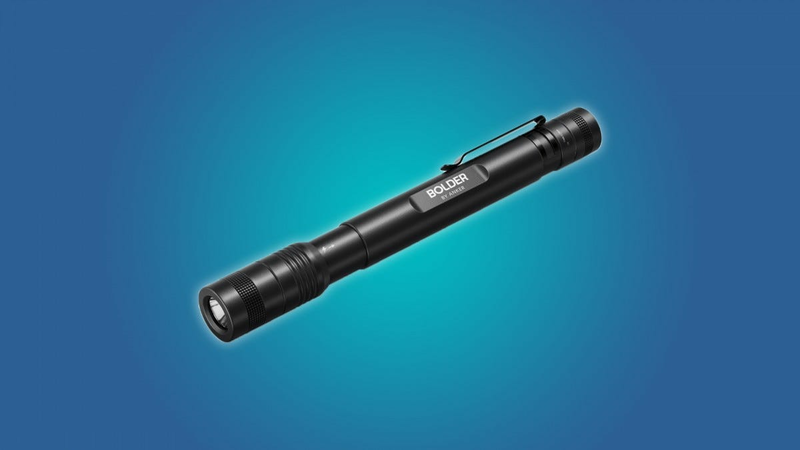 If you want a super convenient penlight that can go anywhere, then you might want to grab something smaller, like the Streamlight 66118. If you want to mix the convenience of a penlight with the illuminating power of a flashlight, then you should check out the EagleTac D25C. It’s a tiny (yet powerful) 453-lumen flashlight that runs on CR123A and RCR123A batteries. Like penlights, the EagleTac D25C has a small pen-clip, so it can securely fit in your pocket or bag. Plus, the EagleTac has strobe, SOS, and directional beacon settings. While penlights have a narrow field of illumination, the EagleTac D25C has a comparably broad range of illumination. Really, this is the perfect light for general use. The EagleTac D25C is great during a power outage, or for rummaging through the corners of your garage at night. And while this light can be used for car maintenance and detailed electronics work, an actual penlight will always be better. Modern penlights are pretty bright, and they can be used to illuminate the underbelly of a car or to find small jewelry that’s fallen on the floor. But, penlights are directional, they can’t be used to light up a large space. If you’re looking for a pocket-able light that can illuminate a large space, then you should check out the Ausein COB pocket floodlight. This rechargeable 3 watt light is great for illuminating your whole engine at night, or for getting around the house when the power goes out. It also has a magnetic strip that’s good for picking up loose screws, or for sticking to large metal objects, like the hood of your car. Again, this isn’t a penlight. But if you want the form of a penlight and the wide illumination of a floodlight, then the Auesin pocket floodlight is worth 10 bucks.